If you want to say Happy Holidays, lets say it all Year. It's not that I have a problem with Happy Holidays. It's the fact that some people use it to discriminate. Truth be told just about every day of the year is someone's holiday, from the national Independance, to a birthday to a human rights day or national teddy bear or maple syrup days. Yes, those really are holidays. You could say happy holidays every day of the year, for that very reason. So why now? Because now is when the gear up for Christmas (albeit an overcommercialized one) is. And Christmas involves Christ. Yes, I am Christian. Yes, I celebrate Christmas. And if I say Merry or Happy Christmas I am wishing you a wonderful, peaceful, light filled season of joy. I am not whacking you on the head with a baby Jesus figurine and saying believe or else, nor sending a Santa in a tank to force a conversion. Believe it or not, when the Old Kris Kringle or Saint Nick or Santa in 'A Night Before Christmas' says Ho Ho Ho Merry Christmas, he isn't even quoting the Bible! I wouldn't object if you told me Happy Hannukah or Kwanzaa. I may not believe in them, or know much about them, but I wouldn't figure you meant it as an insult. Happy usually doesn't imply insult no matter what it precedes. What's more, you don't say happy holidays on valentine's day or halloween. Saint Valentine and Saint Nicholas and even Saint Patrick were catholic saints. I'm not catholic, but I can still enjoy the holidays without insisting someone say 'happy holidays instead of happy st nicholas or saint valentine or saint patrick.. And I wouldn't assume the person doing the wishing was catholic, though it wouldn't matter much to whether I liked them or not if they were. It's a holiday, what's not to like? Some christians don't like halloween. I say, dress up and eat the candy. The candy will be on sale anyway and costumes bring out people's creative side. If you think dressing as a witch or zombie offensive, you can always dress as a teddy bear or a robot. I wouldn't be offended to be told 'Happy Saint Patrick's Day' even though I'm not Irish. Happy New Year might give me pause if it wasn't January first, but explain it's the mayan or hebrew or muslim calendar and I'll go happy new year right back. As for the fourth of July: for all I know the person wishing me happy independence day could be from canada or australia. Or the person I'm wishing it too could be from Austria or Bulgaria. Just because they aren't a citizen doesn't mean they can't enjoy the fireworks. Yet for some reason, all these holiday well wishes are 'acceptable' and Christmas is not. Ironic, how everything is tolerated….except being a christian, whether practicing or not. So Happy National Brownie Day. And National Ice Cream Day, Human Rights Day, Poinsettia Day, National Maple syrup day……….should I go on? So if we are going to go 'Happy Holidays'……then lets just say it all year. It's probably easier than saying Happy pop goes the weasel day, happy flip a coin day and all that. It's easier on the fatherless not to hear happy fathers day and the childless woman desperate for a baby to hear Happy Holidays than a Happy Mother's day. Besides it's a sure fire way to see who is paying attention. Say Happy Holidays in May and someone will probably do a double take. So lighten up people. Enjoy the Christmas or Hanukkah lights. No commitment required. Just an open heart and a childlike sense of wonder. But I'll bet without Christmas you wouldn't have all those holiday lights. We started it. And you can't take that away. Desecration of the Holiday – What are Retailers Thinking? The definition of ‘holiday’ in most Dictionaries is a day when there is a suspension of work and a festive attitude. Apparently some huge corporations have decided to rewrite the meaning. To them, it’s a day to tempt people to spend massive amounts of money on sales and earn a ton of profits. This is not only a different meaning, it’s almost the antithesis of it. There is no festivity for the employees, who are denied that ‘suspension of work’ and time with their families. There is not a lot of festivity for the shoppers either. Instead of time with family or friends, it triggers a competitive free for all. Everyone is out to grab the bargain price right now. This has been known to cause people to be outright run over, shoved aside and fight for the ‘deals’. Hardly the attitude one intends a holiday to encourage. A holiday is usually for a religious observance or a patriotic one. So Thanksgiving is supposed to celebrate ‘thankfulness’ – to count ones blessing. What one already has. Christmas is to celebrate the birth of ‘the Prince of Peace’. Even those who don’t believe in Jesus tend to mark the holiday as a day for family, or have a holiday with similar intention of family, friendship and giving. There are various patriotic holidays meant to celebrate the founding of our nation, the memory of heroes and honoring of those past and present who fought to defend it. Instead, modern retail stores decide to ignore holidays and their meanings and instead focus on lining their own wallets. They encourage greed instead of thankfulness, anger and impatience over kindness and a free for all atmosphere over time to build relationships. Finally they inspire outright fear in workers who don’t dare risk their job by saying ‘no’ to working on the holiday. I for one, say no. I’ll sign any petition demanding this attitude cease. Shop small and local and give the business to people who need it. If some people want to work the holiday, that’s fine, so long as it’s not mandatory. And there is no reason these mad sales can’t at least wait until there is no ‘holiday’ to desecrate. There is an ongoing campaign to stop bullying in schools. Let’s stop it in retail too. Most American childhoods are full of toys. Sometimes the toy comes first, sometimes the TV show does. But either way it soon becomes a collectible – whether the kind you play with or the kind that sits on a shelf, reminding you of your favorite characters. A true fan has more in mind than an eventual sale – for one can never know what’ll be worth money later on. But what about when your favorite just doesn’t strike the fancy of the toy makers? What about when the toy maker’s version of the character just doesn’t match yours? That’s where the customizers come in. These innovative fans go further. They decide they’ll make their favorite character look the way they want it to look. It may just be a new paint job, like a Breyer horse going from a boring black horse to a splashy pinto. Or they may go a step further and mash it up, such as taking My Little Pony and decorating it like Yoda or Doctor Who. How do they do it? Well, I can’t speak from much personal experience: I have done a few Breyer repaints but that’s it. But I can tell you it takes reference material, a vivid imagination and usually the raw figure, maybe more than one if you are going to mix or match parts. This is a time honored tradition, in fact, the original Star Wars….what became a New Hope….owes much of the early starship models to ‘kit bashing’. In other words, they took bits from different model car and airplane kits and mixed them in ways the designers did not intend and certainly didn’t put in the instruction manual! Not surprisingly these ‘bare’ kits aren’t enough for some though. They might be fine starters, but (expect for Mighty Muggs, which are all alike) they usually offer only one model. And you certainly can’t add the furry look of the wookie, the horn of that unicorn or various other features without a bit of tweaking. Surprisingly, some of these use sculpey, judging from my Deviant Art research. This gave me pause. How do you add the Sculpey, which has to be oven baked, to a My Little Pony or other plastic doll, which would melt or burn in an oven? Or do you bake the parts separate (more likely.) Presumably the smaller the toy, the harder it is to ‘customize’. Also not surprisingly, these customs have a following of their own. Can You Do Make Your Own Custom Toy Or Can You Buy One? Those who can’t make, buy. And they pay a good deal too. Are they worth it? Probably. Someone thinks so. It took the cost of materials, plus whatever someone felt their time and creativity were worth. I would guess most of these ‘special’ toys, are not going to young kids. They are going to the grown up kind: whether they are over eighteen or just young collectors. Of course, there is always that ‘iffy’ realm between selling fan art and a violating copyright. Okay. Where does the line come in between “My Little Pony”, “Star Wars” or “Doctor Who” and the creativity of the person who made it come in? For most, fan art stays fan art if it’s ‘at most’ one piece. Forget merchandising. It’s a bit risky even selling one, but it largely depends on the owner of the copyright. I like the think many of these copyright holders recognize their own danger in overzealousness at pursuing a single one of a kind fan custom figure. One doesn’t want to alienate their own fans. That might stop hem from buying. 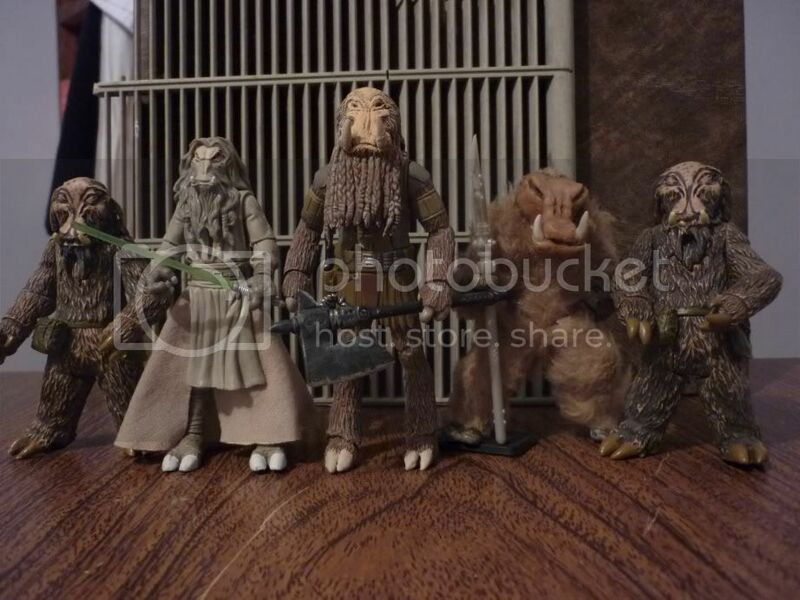 And odds are, that custom figure has base parts from regular figures which…ahem…they still want to sell. So they must balance this fine line with care. And they don’t stop with toys. They continue into the dioramas and playsets to put the toys into show off. And why do we do it? Why do apparent adults and kids of an age when hanging out with friends are normally taking up the time suddenly getting involved with this stuff? I think it’s that emotional, sentimental memory of their fandom. Combined with the need of the arts and craftsman to create, it expresses itself through collecting and customizing. It recaptures a little of childhood’s joyous wonder and refuses to let it go forever. Some people keep their fandom in the closet (perhaps literally). Others are more open. 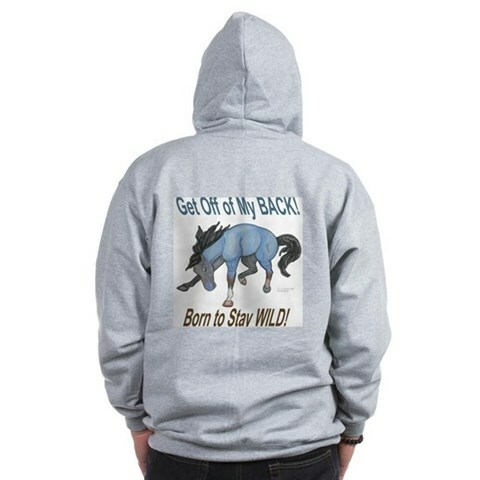 But when you walk down the street, taking with friends, even hearing some bully put another down, let the thought come. The most grown up grown up might, in fact…be hiding a pony in the closet. Or that cool custom hotrod, hand painted and paid a fortune for. Don’t let them fool you. They are everywhere! Compromise in art can be maddening. Art can be many things, many mediums. It can be the fine art hanging on the wall of the museum, or even what’s on the front of a cereal box. It can be a play or a movie or a TV show. But all of these things are compromised by the very basic need of funds to create. Even in the olden days, the famous artists like Da Vinci and Michaelangelo needed patrons. That meant the patron could influence and command what art they were able to concentrate on. 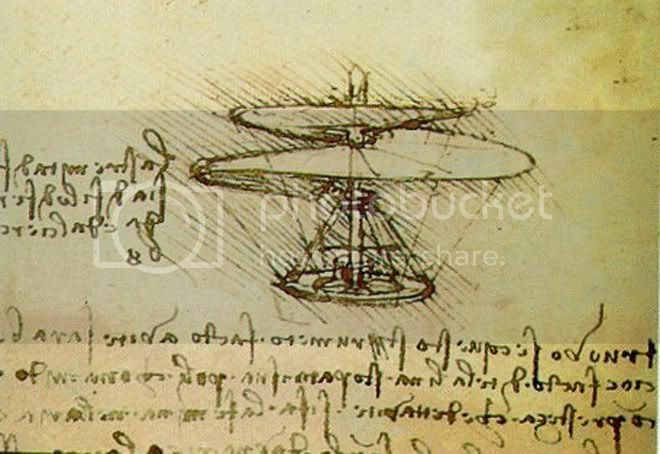 Wars stole supplies that would have been used for art and magnificent potential pieces like Da Vinci’s horse waited long after his death to come to life. art and science ahead of it’s time. Changing demands mean right now photographic manipulation has largely replaced illustration on movie posters and book covers. And once again the artist must choose between money for supplies or changing what they would do. Already one had to fit their creations onto certain products, now they had to alter technique. Compromise in Storytelling – TV and Movies. As for TV – oh dear. Television in and of itself has changed. HD is obvious and recent. But what’s more, so has the need for commercials. Those in charge add little pop ups to the bottom or the side, a rather shocking distraction from the main action. Apparently whoever invented them for web browsing decided to take them somewhere without a pop up blocker. Sometimes clever product placements appear in the show – like White Collar’s Ford Taurus and Apple ads or even the fact that HP computers are all thru the FBI office. Some aren’t so clever. But ultimately, commercial time is extended. And it chops into the show, cutting off bits and pieces. 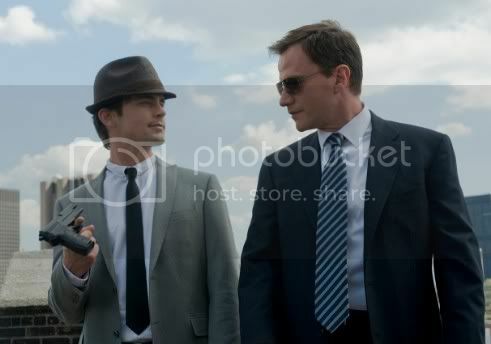 White Collar scene. Probably a Promo shot, this was never part of an episode. As for movies on TV, that’ s even more of a compromise, because sometimes they just aren’t designed with commercials in mind. They were meant for the big screen of a theater. The end result of adding commercials sometimes seems like they took the old fashioned film reel, put it on the wall like a dart board and threw the darts at it. Then they spliced in commercials where ever they pleased and chopped out however much they needed too. The problem with these compromises is that sometimes it changes the entire message of the art. Take Disney’s Miracle of the White Stallions. As a child, I never understood why it was called ‘Flight of the White Stallions’ on TV but listed as ‘Miracle of the White Stallions’ elsewhere. Then I got the DVD. The message was immediately obvious. For on TV the flight of the lippizans and the Spanish Riding School from Vienna was just that. A run to where they were found by General Patton and offered protection. But the ‘Miracle’ part had been left on the cutting room floor to make room for commercials. The miracle was the many people who braved the Nazi’s wrath to help smuggle them out in spite of orders to keep them there. I had a similar shock with one of my favorite incarnations of a Christmas Carol: called “Scrooge” and starring Albert Finney and Alec Guinness. It was a musical. The TV version chopped off a whole section where he wakes up in hell. I had no clue it existed until I bought the DVD. Flight of the White Stallions…or is Miracle? Sometimes these actions seem downright sacrilegious. I loved ‘A Night Before Christmas’ by Rankin Bass (who also animated Rudolph, the Red Nose Reindeer and the Hobbit) as a child. But when I came back as an adult I was horrified to find that the whole thing was chopped to bits. The whole message of hope and faith was whittled to nearly nothing by commercials. One whole song was wiped out completely. As for Rudolph, I no longer know which is more accurate: the one I saw as a child or the one with the music changed but obviously part of the original show. I prefer either to the whittled down version. I find it rather amusing as well. The rather sexist message of the reindeer refusing his mate’s desire to help search for her son, for instance. “This is man’s work.” Hah. Apparently he failed to realize that disqualified him too, he was a reindeer, not a man! Who makes these decisions to alter someone else’s story? At least with something like Star Wars and it’s infamous ‘Han shot first’ debate, the change, however controversial, was made by the creator. But who decides it’s okay to shred a children’s classic? Or remove a TV show’s funniest moments to cram in one more commercial? It doesn’t seem to involve planning to work around the original story line or message and leaving it intact. It apparently does not take into account the work of the artists involved, actors, directors or creators. Nor does it take into account the fans. And if it doesn’t take into account these, than surely it does a disservice. For by altering the story, they are diminishing the chance to make new fans. New fans, who would buy those DVDs, or collectibles or in turn support shows like it in the future. I don’t claim to have a solution. It takes creativity, perhaps, to even work with the commercials, to interweave them into the program without breaking it’s momentum or damaging the story. Perhaps it takes training though if anyone is trained for this (beyond the ‘we need more money’ end) I don’t know. But if they aren’t, maybe they should be. For television, movies and streaming media are our modern storytellers. They help us know the monsters can be defeated and challenges overcome. They let us escape our own problems to find a new point of view and things to get excited or laugh about. But only if the overcoming and escaping doesn’t end up on the cutting room floor and replaced with another ad for kitchen cleaner. Speaking for myself: I don’t find it inspiring to see one more commercial to ‘buy more.’ I already know how to do that. I really think we all do. There is something about dragons that just captures the imagination. Their powerful and have amazing abilities. Their role in our imaginations has changed over the centuries, informed by science, legend, religion and culture. They may be mere animals, or intelligent. They are a myth or a metaphor and maybe more. They can be fun to draw, but also a challenge. You won’t often find a photo of a ‘live’ dragon to pose for you. But if you know their history, you’ll be able to piece together enough of an image to create your own. Spiritually, European dragons were thought of us ‘evil’. This is due to the influence of Christianity and the infamous claim that ‘Satan is a dragon’ in the book of Revelation (Revelation 12). However this is a bit of a stretch: the same devil is compared to both a snake and a roaring lion. Since Jesus is also compared to a Lion, we can’t say all lions are evil. And while many of us don’t like snakes, others do. They are, for better or worse, animals. A mouse might think a snake evil but most of us don’t. In artwork of the Renaissance Period they are often shown as a snakelike creatures with wings. Whether these are meant to represent a real extinct creature, or were a metaphor for sin, is known only to the creators. (ie look up when internet comes back). In any case these were characterized by not only a very lizard like look, batlike wings and an ability to breath fire. Eastern dragons on the other hand were considered good luck. It’s a symbol of water and the heavens as well as fertility. Given the general description of dragons, it’s possible they were informed by a combination of the Bible translations and remains of dinosaurs. Unless of course there is a real dragon that is not only extinct and the remains totally destroyed or buried deep in unexplored ocean depths. It’s unknown what Eastern dragons are inspired by, but dinosaur bones are also found in China. But they share similarities to creatures in art by the aztecs and inuits. In recent years dragons have become popular in the realm of fantasy. In some ways, they’ve always been a hot topic. But now, advances in computer science allow for the creation in digital dragons. They swoop through movies in pursuit of Harry Potter and chase knights with swords. Perhaps it’s a slow recognition in our own flaws that has us re-evaluating dragon lore. Some dragon movies have come out which show dragons as more misunderstood than monstrous. Pete’s dragon is an old Disney movie featuring a friendly animated dragon and a real boy. But at the time most dragons were villains like The Hobbit's Smaug. Now stories like ‘Dragonheart’ reveal a different tale: a dragon who helped create the code of chivalry. In the Dragonriders of Pern series, dragons are a combination of human engineering and a natural species which help combat a deadly threat from a colony planet's skies. As for the dragons of Christianity, some authors have finally recognized the gap in fantasy that Christian books had after CS Lewis and JRR Tolkien. They have created new fantasies, and unlike the old ‘villain’ dragons, new ‘hero dragons are born. Stories like Donita K. Paul’s Dragonspell series where our heroes live in a world of dragons and magic where ‘Wulder’ and his ‘Paladin’ represent the creator and all follow his laws. Their are evil dragons here too, but they have their good counterpart. Also Bryan Davis ‘Dragons in our Midst follows the tale of a boy and girl who are the children of dragons turned into humans. The dragons were pursued by slayers, who had already slain all the wicked dragons and were indiscriminately turning to the ‘good’ dragons, not caring that they served God. Prophecy says these children will save the dragons and restore the Arthurian throne. When drawing dragons, it’s helpful to keep this dragon history in mind. Is your dragon good or evil or neutral? Intelligent as a human or purely an animal? Is he a dragon from an established fantasy or are you inventing one all your own? Given that dragons are usually lizards, pictures of lizards can be useful in determining types of scales. Bats can supply the wings. Claws are important too. Natural earth colors would make up a realistic dragon. Remember that it would take huge wings to support this critter! You can of course be totally exotic. You might change bat wings for feathers, go for wilder painted colors and or markings. It can have a more mammal like paws and face. Perhaps your dragon is meant to have a rider like the ones in Dragonspell, Eragon or Dragonriders of Pern. It’s your dragon. You decide! How you draw your dragon will bring it to life and influence it’s personality. Don’t forget that where your dragon lives can help you too. Grab some pictures off the internet to reference if you want to create your own ‘cave’ backgrounds, look up sky and mountain photos for how tips and tricks on coloring your backdrop. It can be harder than it looks. Make sure your dragon stands out, at least in those features you want to be prominent. 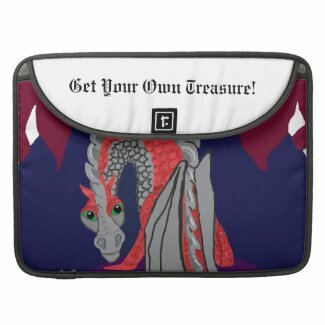 Browse more Fantasy MacBook Sleeves. This image is available on other products. Finally: keep in mind how much of your dragon will be in your picture. A dragon is usually big and long. So if your limited to small paper you’ll either need to shrink down your dragon and lose details or focus on one area, such as the head, and crop out others. Of course, if you can afford big paper and have the place to work you can go all out! Check my Squidoo lens on dragons for more resources! Cartoons were never just for kids. For some peculiar reason, many an adult turns up their nose as if a cartoon is unworthy for adults. I’ve never really understood why. A cartoon is just a story, told with artwork in sequence. It’s not guaranteed even to be rated for kids, some are actually rated mature. Even those with a kid friendly rating are not free of true storytelling excitement. Disney’s Snow White and the Seven Dwarves had a wicked queen trying to kill the beautiful girl. Those stories are very tame compared to their original counterparts. The original fairy tales are a good deal more frightening. But the timeless tale of good versus evil still is clearly represented. Adults create these stories. They usually write the stories, do the artwork, and ‘act’ the voices. True, if the cartoon is for kids, they have to get inside a child’s viewpoint. But look at it from an adult one and there are things about the stories one rarely notices when one enjoys it as a child. They have meanings: for good or bad, even if they are unintentional. I always identified more with Road Runner and Tweety as a kid when watching Looney Tunes: but they weren’t always nice. While I didn’t want the Wile E Coyote or Sylvester to win, now I see that they were dreamers chasing the impossible dream. One might – from a pessimists point of view – say they suffered greatly for their ambitions. They were dropped off cliffs and smacked with frying pans on a regular basis. Well, really can you blame them for just being what they are? They were predators and hungry. And would you really want your kid to drop his adversary off a cliff? Or even develop Bugs Bunny’s sarcasm? I suppose he might encourage carrot eating. I’m not trying to bash Looney Tunes. They were great fun. But don’t tell me these were really written with kids in mind! 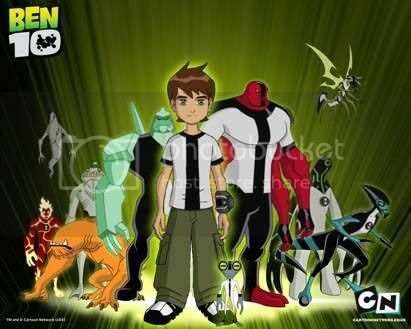 On a more modern basis, I’ve watched Ben Ten grow up. Ben found an awesome device called the omnitrix, which turns him into a variety of aliens. These enable him to battle evil alien invaders, under guidance of his Grandpa ( a ‘plumber’ a code name for a secret group that defends earth against aliens) Aside from being impressed with how many imaginative aliens they invent, they also show Ben regularly learning (often the hard way) about cooperation, appreciation of family, and thinking ahead. Transformers have been recreated a few times. The impressive computer animation goes along with the timeless tale of friendship and loyalty between very different beings. 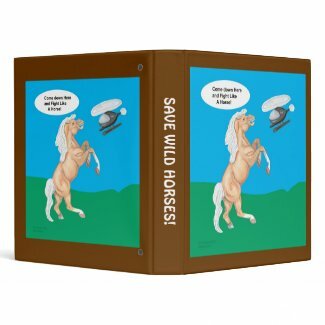 My Little Ponies also have such tales for a younger set – but even adults have refused to give up their hopeful message. As for Star Wars the Clone Wars, the tales are anything but dumbed down for kids. The original Star Wars tale dealt with Anakin’s fall – becoming Vader and his redemption by his son. Now we see him as the hero he was meant to be. But we also witness the trauma of warfare. It’s a confusing era in the Star Wars galaxy. His apprentice wrestles with the responsibility of losing men in battle. Even the villain Ventress searches for a place to belong. But the timeless values of loyalty, honesty and friendship are there. But only for kids? There are episodes that might give some nightmares. The answers aren’t always so clear. Tell a lie to save lives? Sacrifice a few to save many? These are not stories where what the right answer is comes easily. And since we know it ends where Revenge of the Sith begins we already know, to our dismay, that not all of our favorites survive the conflict. As for style, there is something for everyone. We’ve come a long way from the hand drawn art of Snow White and early Mickey Mouse. Now we have computers to allow smoother animation and programs to make them appear almost three dimensional. Where does ‘animation’ begin and live action end in stories where an alien being is created entirely on computer but yet still interacts with humans? So down with this absurd notion that cartoons are for kids. Cartoons are for everyone. If you can’t find one you like, I’d bet you haven’t looked too far. There are those people out there who live without TV. Who thinks it’s a waste of time and money. They’d rather be active or socializing. Well, if they can live without it, I suppose that’s good for them. But for some of us who are not blessed with the gift of socializing or those without the health for exercise or the attention span of reading, or the price for multiple video games and their systems, TV is a great blessing. But in our stressful world, some of us do need escape at times. Times to unwind and look at problems that aren’t real, aren’t are own – or maybe they are, but we have a chance to see them from another point of view, an outsiders point of view. A good TV show inspires one to care about the characters and want to know what happens to them. It doesn’t matter whether it’s the ‘real’ world of cops and robbers in New York city, a reality show (where reality itself is rather fictionalized for the camera) or a fantasy world of dinosaurs like Terra Nova and fairy tales like Happily Ever After or spaceships like Firefly. And sometimes the TV is our means and reason for socialization. Like a book club, a good TV show can be a conversation starter and an ongoing topic. For those of us who weren’t born with an easy starter kit for conversations it’s absolutely priceless. What’s more, it can inspire us – or destroy us, depending on one’s choice. We can take comfort from the fact that our real life family (hopefully) isn’t as bad as the one on the sit com. We can laugh at odd moments. Or we can pause and consider what and why do we care so much about the fictional character, invest so much in them when we can’t do that with our own family. It’s like an unrequited love. We give it and ask for little in return except they show up the same time next week. Then again, maybe that’s more than our family does. Show up? Do families do that? Well some do. Others just leave members adrift, as if family was just a loose title and not a bond at all. It’s not uncommon these days for every member of the family to be in their own little room watching a different show on TV or computer. But that’s just a difference in taste. There is little reason to think without the TV the family would be more compatible. The TV can be educational too and not always for obvious reasons. My personal favorites: White Collar and the USA channel in general. Scary to think what one can learn from a con man and an FBI agent. How to fleece (or avoid being fleeced, one hopes) But also very inspiring in the art history department. I was so inspired I drew these guys for fun and came up with these greeting card ideas. It’s tricky to put a teddy bear in a Neal Caffrey style hat! 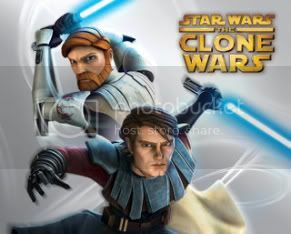 And on another end of the spectrum: Star Wars the Clone Wars. Okay, I’m biased. I’ve loved Star Wars most of my life, yes even the prequels. The whole redemption thing has me hooked. But the sheer scope of the imagination takes my breath away too. I bounce with joy when I see stuff from the comic books suddenly come to life on the TV screen and all the different styles that characters can be drawn as. I’ve been amazed at the ways they’ve been able to interweave new stories into the already established ones from the comics, especially given the time line difference. (In the comic Anakin is an apprentice for much longer. In the series, he is almost immediately knighted.) I’ve learned so much from them. And it applies to real life too, inspiring creative problem solving. It’s just a shame that greed has such control over television. There may have been a time when a few channels was enough. But I for one, am tired of free network channels dropping the shows I like and putting up junk in return. Or they stick the stuff I like on at the worst hours, like right after sports and then expect it to survive when no-one knows when it will come on. Cable has it’s uses, especially if you live where you can’t get anything else. But the greed thing is full blown there too: They – and I don’t know who they really are – stockholders? management? – try and bleed people dry for a couple of hundred channels. Personally I use less than ten. I don’t need a hundred. But I do need to want to be able to select the few I do watch. Satellite has the same issues. Internet TV needs the internet and a computer meeting the requirements. So what do we do? We who have little income are going up against the giants as if we were either A: a sheep to be sheered and left shivering or B. Goliath. At least with the latter we have faith, although some stones for the slingshot come in handy. Goliath is more inclined to listen when you warn him their is another giant in the area more reasonable! That’s a big stone. Patience and stubborn determination are two more. Somehow one needs to remind the Goliaths that little people matter and that without their customers they’d be out of business. If they treat us like they would want to be treated then all is well. If they treat us like we are the dinner then they need a reality check. They can’t exist without us either. Right now I’m looking for a way to pay for both internet and cable in an area with comparatively few ‘other’ giants to compete with the local ones. Ouch. Anyone out there know where I can get a few stones?